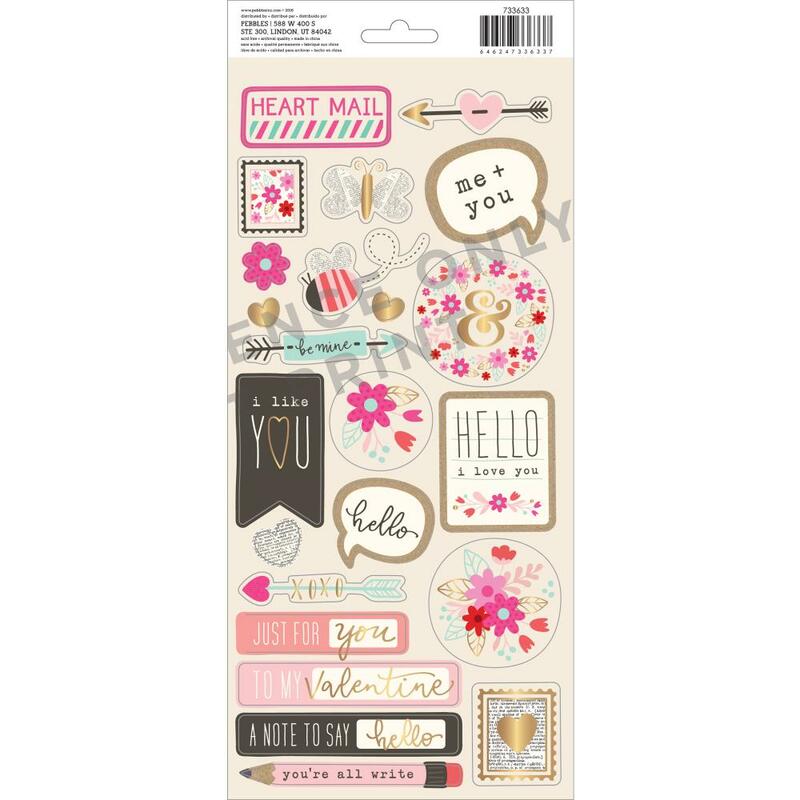 This 6" x 12" Sticker Sheets have your favorite Valentine Sayings & Icons. You'll find two (2) 6"x12" Sheets in this package. Look for coordinating Designer Papers, Cardstock Shapes and Dimensional Stickers. Part of the Forever My Always by Pebbles.